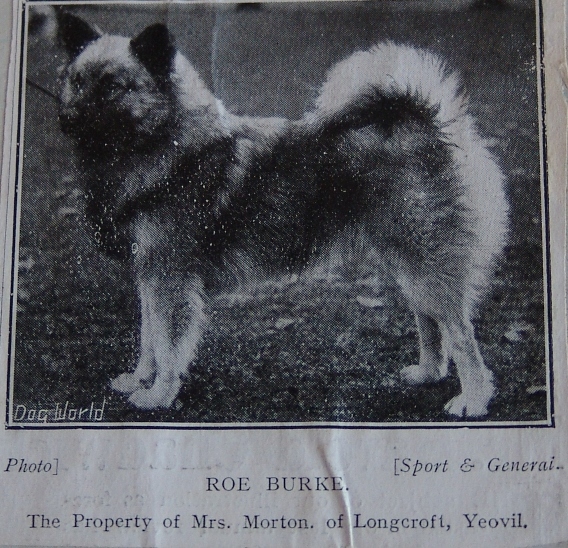 The article below from 1925 mentions that the Keeshond Club is already in existence. Note that several people are breeding under the name "van Zaan Dan". 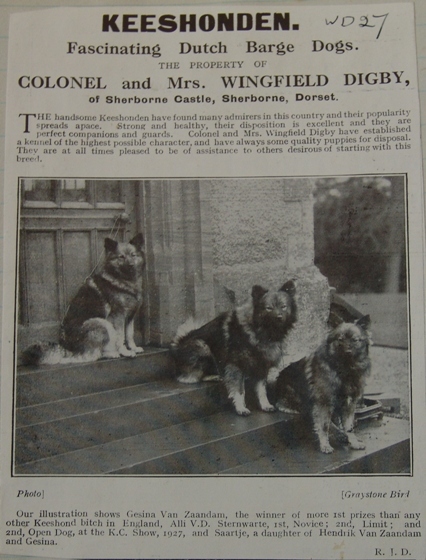 Mrs. Wingfield Digby had not at that point registered "van Zaandam" as her affix, as she was still trying to persuade the Kennel Club to break their rule banning foreign affixes. 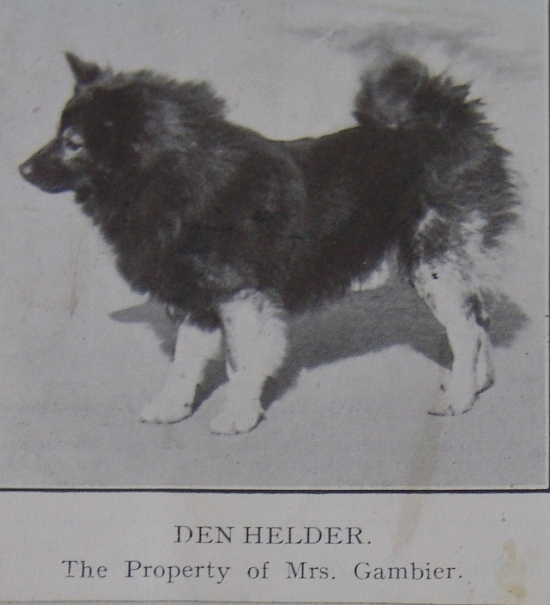 With the help of Miss Van der Blom of Holland Bartel van Zaandam (below) and Tilly van Zaandam (see below) were imported, and they had to spend six months in quarantine at kennels in Southampton. 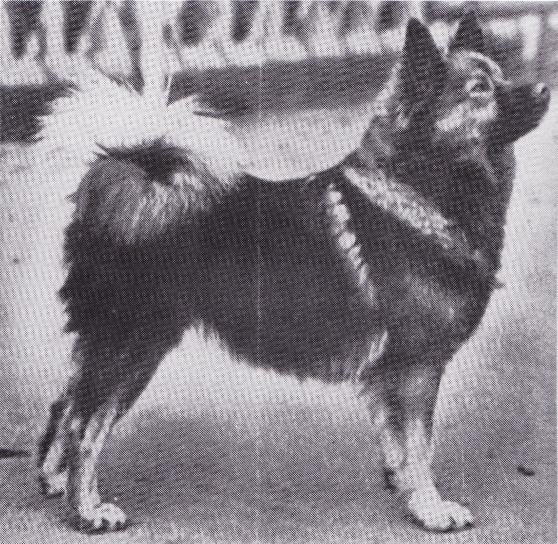 Bartel had been bred by Mr. E. Schmidt of Sindelfingen near Stuttgart, and in 1930 became the second champion in the breed, his grandson Dochfour Hendrik being the first. 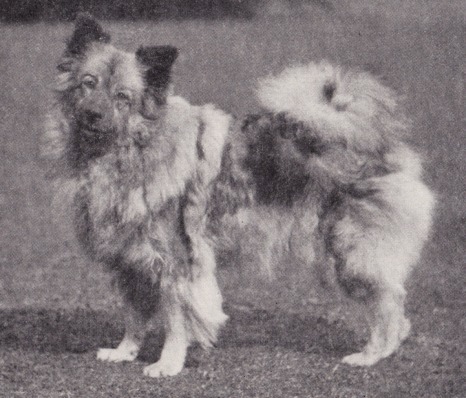 Bartel and Tilly’s progeny included Karel van Zaandam (below) and Gilda de Witt (below), both well-known dogs of their day. Bartel was born in 1923. 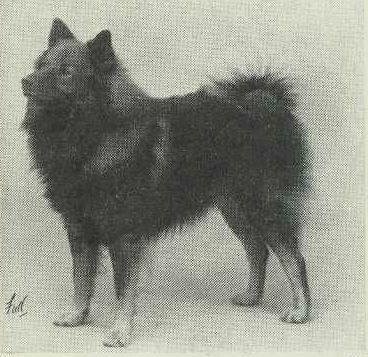 His sire was Wachter von Zuffenhausen (born 1916) and his dam was Agnes von der Maiblume (born in 1921) Bartel was imported by Mrs. Wingfield Digby in 1925, and formerly known as Billo von der Maiblume. 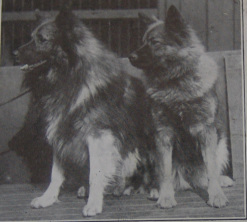 On the left (below) are Saanie (left) and Breda (right) at Birmingham Championship Show in 1923. 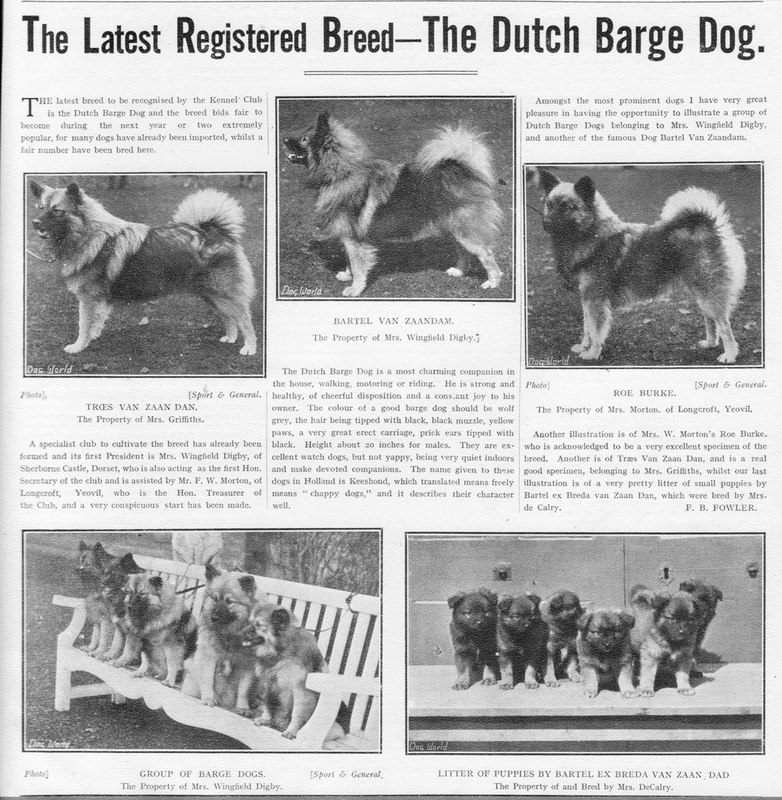 They were shown as Dutch Barge Dogs. 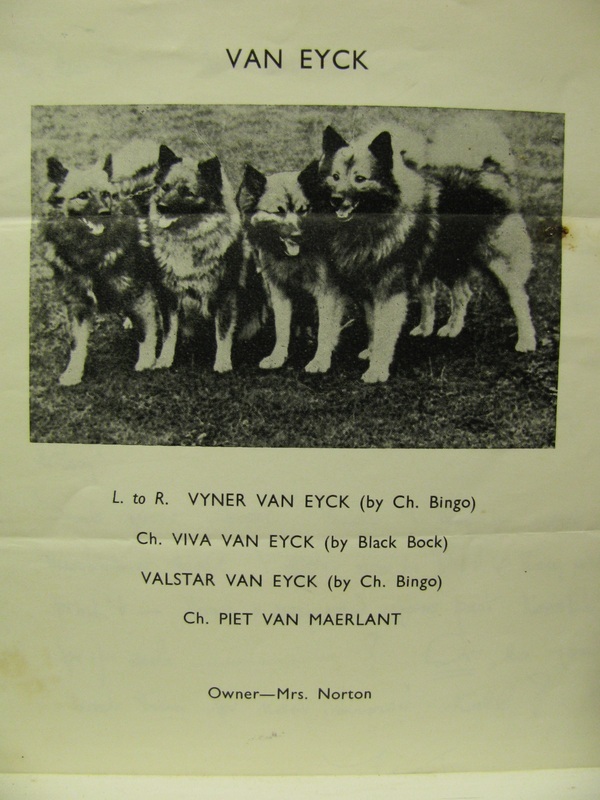 They are littermates, with Theunis and Jan also in the litter, born 26th March 1923. 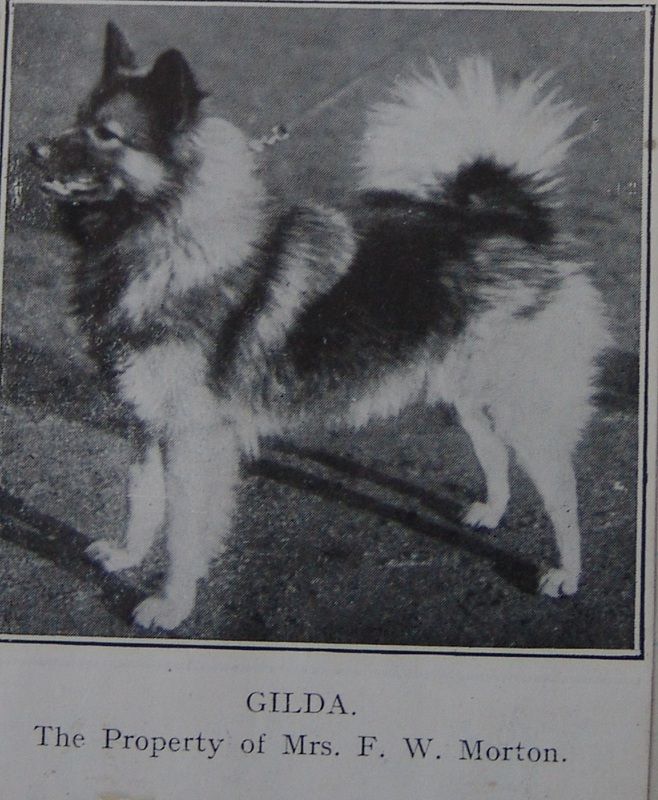 The sire was Terschelling van Zaandam (Texel x Schie) and the dam was Amalia van Zaandam (Dirk x Edam, two more early imports of Mrs Digby's). 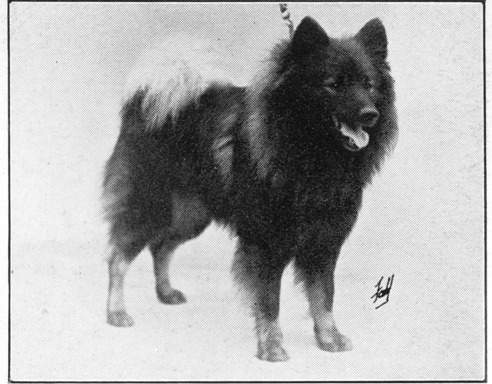 Below is Oldebury Zaap in 1926. 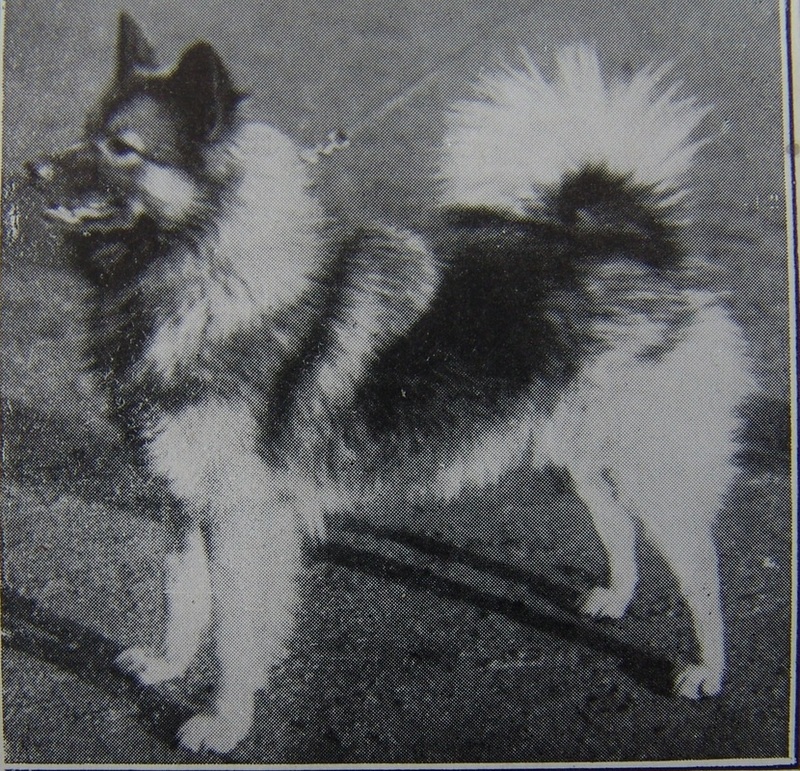 He won Any Variety Foreign Dog in that year, and his 8-week old litter of puppies were shown at Alexandra Palace and won second in Any Variety Litter! No concerns about infection in those days! 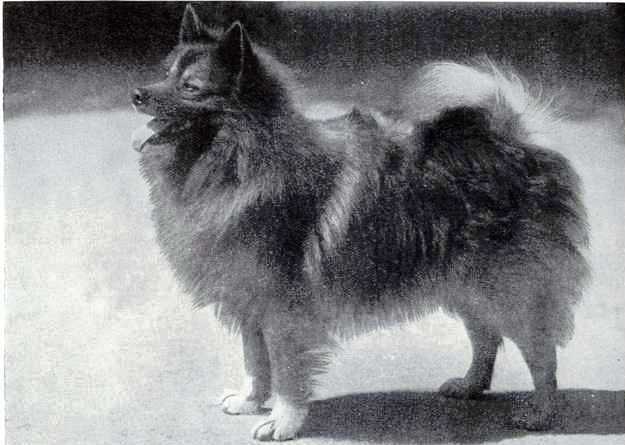 Dochfour Hendrik (below right) was the first Keeshond to become a champion. He was born in 1926, the son of Hendrik van Zaandam (imported in 1925 by Mrs. Wingfield Digby and formerly registered as Horst am Ziel, son of Fips Sauter and Christel am Ziel) and Gesina van Zaandam. (below centre) He went on to sire many well-known winners and champions. 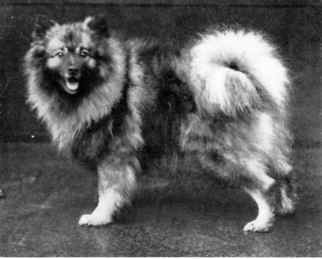 Once the Keeshond Club had become established the keeshond increased rapidly in popularity. 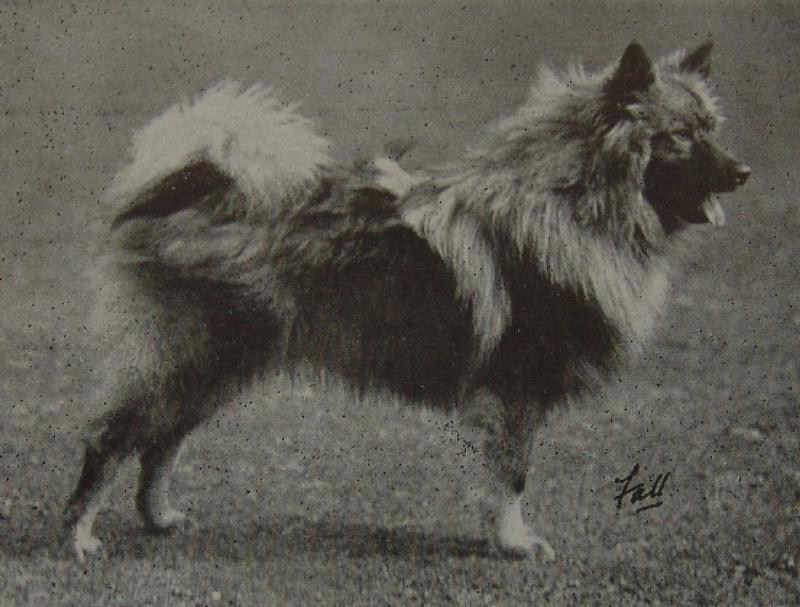 Breeders collaborated in importing dogs from Germany and these imports became the foundation of the British keeshond. 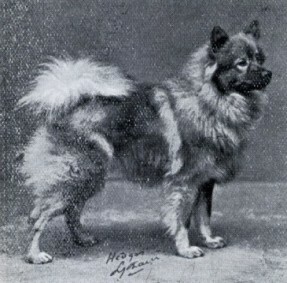 In 1928 Challenge Certificates were awarded to the breed for the first time, and Bartel van Zaandam won the first ticket. 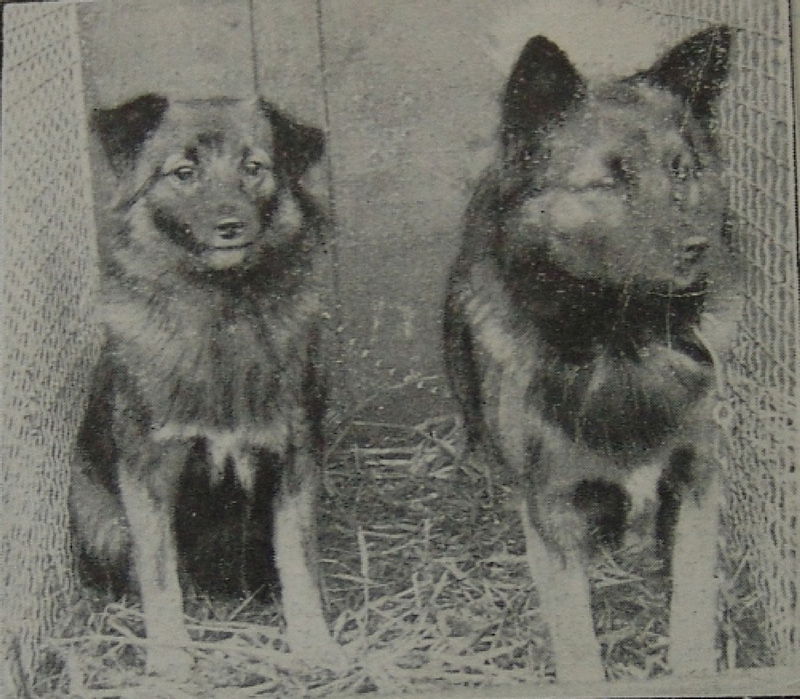 Ado von Thierlstein (right), another dog imported from Germany sired by Ger. Ch. 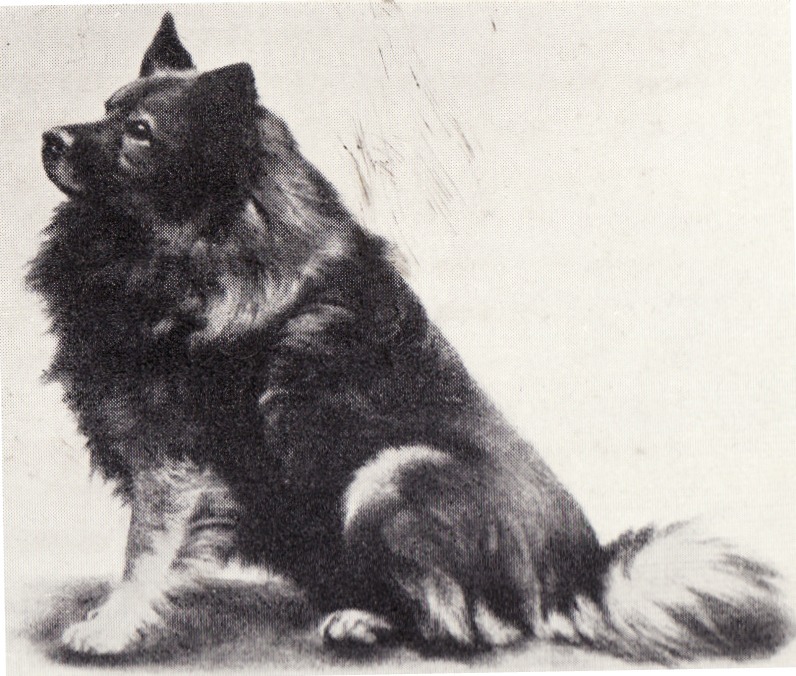 Geron am Ziel (see picture), won the ticket the following year. 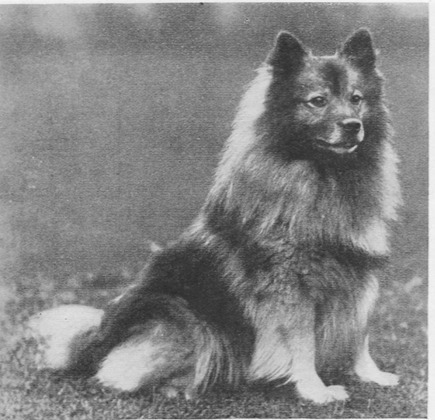 Geron am Ziel was also the sire of the first Keeshond to be registered in America, Carl Hinderer’s Bella von Trennfeld, and of Guelder Geron, born in 1928. (see picture).